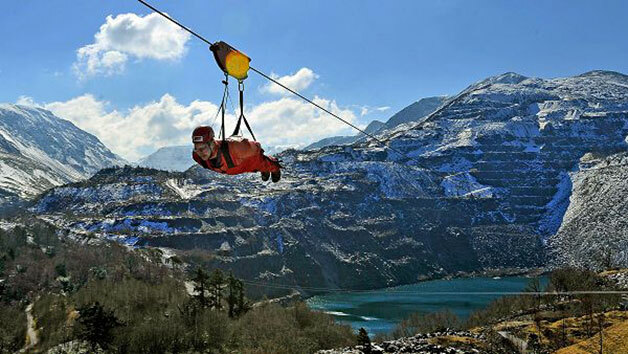 Glide 500ft through the Snowdonia mountains on the longest and fastest zip line in Europe! 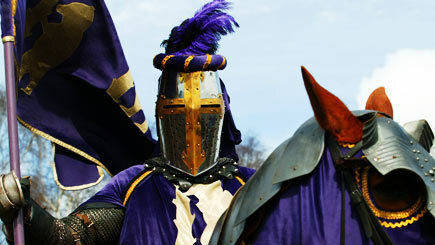 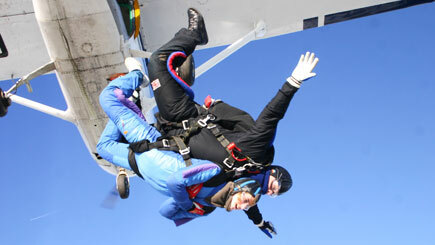 With this amazing experience, soar to a speed of over 100mph and pass by breath-taking scenery. 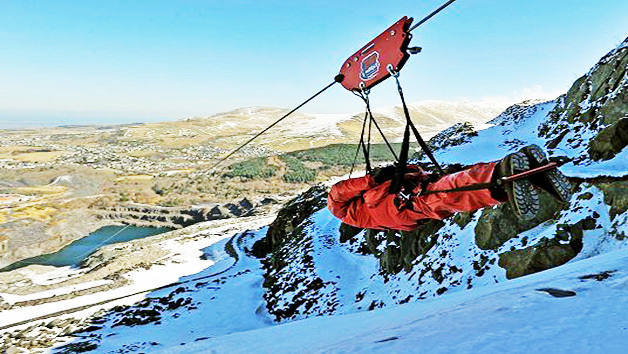 Before taking to the Big Zipper, try out the smaller but still thrilling Little Zipper to get a taste of the experience, reaching speeds of up to 40mph! 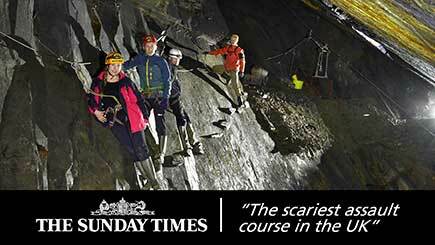 Enjoy a tour of the vast quarry on a specialised vehicle, travelling up to the Big Zipper. 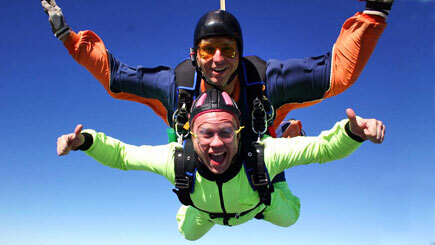 Feel invincible as it glides through the air for one unforgettable mile, passing over the lake 500 feet below. 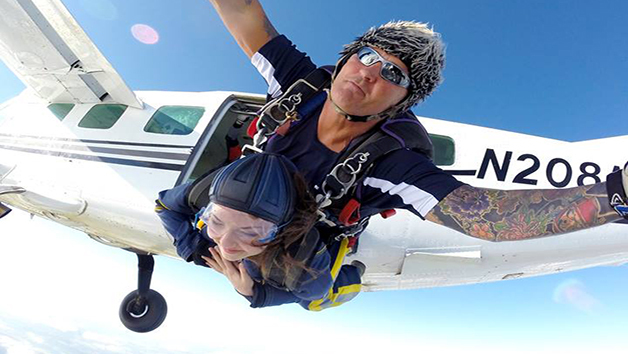 An exhilarating experience that will never be forgotten, it is the ultimate gift for adrenaline junkies and daredevils alike!